On 2-09-2019, a cold windy day Bob Faherty of CFKWC went to the Fourr Oaks C.C. in Dracut and meet with the parents of Nick DeFelice, Denise, and Brian. 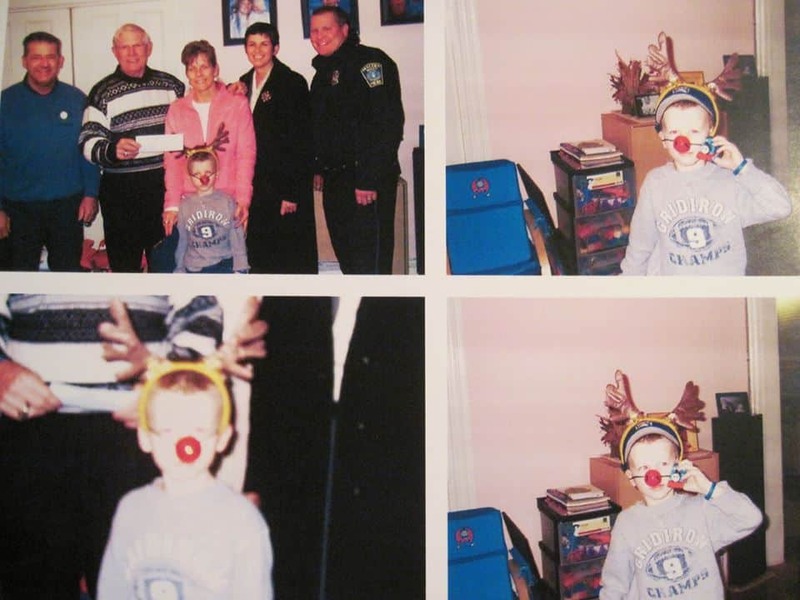 Nick’s family was one of the first recipients of Cops For Kids With Cancer donation December 8, 2008. unfortunately, Nick passed away at 9 years of age June 26, 2012. In his memory, his parents have a Foundation, Super Nick Forever 9, and on this day gave CFKWC a check for $4,000.00 from their annual Golf Tournament.